The best Vitamin C serum, stabilized with whole food Vit C serum cofactors. A Fast-Acting Liposomal 20% L Ascorbic Acid Vitamin C Serum (L Ascorbic Acid Is The Only Form That Produces Results Topically). Immediately Your Skin gets tighter, lines and wrinkles smooth and sun damage age spots become less visible and these results continue to improve over time. This Serum Produces Retains Its Potency For Up To 1 Year after purchase. Enhanced With Whole Food Vitamin C co-factors Extracted From Fresh Organic Fruits, that increase the potency and effects of the Vitamin C over 500% . Vitamin C is the main nutrient involved in Collagen synthesis and the main anti-oxidant in your skin. You cannot produce collagen without it. 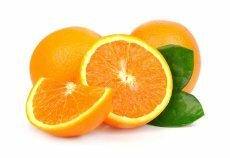 Vitamin C levels in your skin start dropping in your late 20's and continue to decline as you keep getting older. This results in sagging skin and sun damage. Taking Vitamin C orally is great internally however very little Vitamin C reaches your skin. Scientific Studies prove that an effective Vitamin C serum used topically is 20 times more effective at raising the Vitamin C levels in the skin than the oral route. For Vitamin C to work topically it has to be dissolved in water and this is where the problem with Vitamin C serums start. The L ascorbic acid starts reacting with the oxygen in the water and air and oxidizes which means it loses hydrogen molecules and becomes dehydroascorbic acid which is not vitamin C and will not raise the vitamin C levels in the skin. Some companies mix Vitamin C with Vitamin E and other anti-oxidants to slow this process down and it does extend the time of oxidation maybe a few weeks from a few days but for a commercial product that is still not good. And this unique process allows the vitamin C to penetrate the skin to a deeper level providing you with superior Vitamin C benefits. An effective topical Vitamin C serum is one of the best investments in your skin you can make, irregardless of age. As a consumer you are trying to decide which Vitamin C serum will give you the best results for your money. Here are the facts you should consider before purchasing any Vitamin C serum. The most important fact is don't buy any Vitamin C serum that has any stabilized form of vitamin C as its active ingredient (Magnesuim ascorbyl phosphate, ascorbate phosphate, ascorbyl palmitate, Sodium Ascorbyl Phosphate, Scorbyl Palmitate and there are others)-any name other than L ascorbic acid or ascorbic acid is a waste of money. "Derivatives of ascorbic acid including magnesium ascorbyl phosphate, ascorbyl-6-palmitate, and dehy-droascorbic acid did not increase skin levels of L-ascorbic acid." The reason these stabilized forms of vitamin C do not work topically is because vitamin C cannot work when it is attached to another molecule. These forms are fine when taken orally because your digestive system can break the L ascorbic acid free from the stabilizers however there is no mechanism in your skin that can do that. Also look at the packaging. The biggest problem for vitamin C degradation is air and most vitamin C serums are in dropper bottles so opening and closing your container is not good. Vitamin C serums should always be in airtight dispensing containers. Also light oxidizes vitamin C and again most vitamin C serums are in amber glass bottles. Amber does filter out some light but not all. Black recyclable plastic is the best. Which is why we package ours in a Black airtight serum pump dispensing container. The PH of any Vitamin C Serum is important. For it to be effective the PH has to be 3.5 or lower, ours is manufactured at 3.2 which is the most optimal. Vita Cerum(tm) delivers more Vitamin C benefits faster to your skin at less cost than any other Vitamin C serum being sold. The following is an explanation of our full ingredients. Bio-Extracted Whole Food Vit C Complex: L ascorbic acid (the most effective form) encapsulted with organic phopholipids and infused with a rich nutrient broth of fresh bio-extracted fruits and vegetables (whole food cofactors are required for optimal vitamin C effectiveness and stability). Organic Hand-Filleted Aloe Vera. Most aloe vera you see in vitamin C serums and skin care products is made by taking the whole plant and crushing it. Which causes toxic substances in the outer leaf and the latex to be in the aloe vera. Plus they add up to 90% water so the quality of the aloe vera is very poor. We hand filleted our aloe getting only the liquid inside the leaf. VeganHyalurate(tm): We extract large water-retaining molecules from the pulp of fruit and vegetables which are very moisturizing and help plump the skin. These molecules also aid in absorption. Most vegan hyaluronic acid you see in vit c serums is derived from senna seeds. Which is mainly used as a laxative, our research indicates this form to be irritating. Ours is a more optimal-soothing form and is unique to our product line. Organic White Oak distillate: Has a better astringent cooling effect than the more popular witch hazel and is less irritating. Full spectrum oil and water soluble Vit E: We bio-extract ours from a proprietary blend of organic sweet potatoes which results in a rich source of full spectrum oil and water soluble Vit E and natural Vit A. The vitamin E used in virtually all vit c serums is the chemical Vit E Acetate, which is a synthetic form of alpha tocopherol. According to scientific studies this form causes irritation and in high doses tumor formation. Ours is a more natural-effective form of vit E. Scientific studies prove that Vitamin A is also a potent anti-oxidant and stimulates increased collagen. ProCynamin(tm): A rich broth of class A and B procyanidins bio-extracted from a proprietary blend of Ceylon Cinnamon, purple sweet potato and fruits. Procyanidins are a very potent class of polyphenol anti-oxidants. Flavinall(tm): Plant sourced peptide complexes that have a profound skin tightening effect. Vegetable Glycerin and Organic JoJoba oil: These ingredients are added for their moisturizing properties. Instructions: Apply daily preferably AM and PM after cleansing, pump 2 or more times in the palm and spread evenly, use more for increased effect. Can be used with any of our other products and will increase their effectiveness.